Marlon Marshall is a Founding Partner at 270 Strategies. Marlon was Special Assistant to the President and Principal Deputy Director in the Obama White House Office of Public Engagement, where he was a key player in a number of public engagement initiatives at the White House and led the on-the-ground enrollment effort for the historic Affordable Care Act. He was also instrumental in helping the Administration launch the My Brother’s Keeper Community Challenge, a program that worked with cities and focused on making sure young people of color and all youth have a chance to succeed. Marlon is currently a Fellow at the Georgetown Institute of Politics and Public Service, where he leads weekly discussions with students committed to making politics work better. He rejoins the 270 team after serving most recently as Director of States and Political Engagement for the Hillary for America campaign. Marlon brings a wealth of experience and passion for grassroots organizing to a variety of issue and electoral clients. His portfolio has included education advocacy groups, international campaigns, and special elections for the United States Congress. Marlon has held a series of key positions in national Democratic politics and has worked in states with some of the most contentious election contests in recent history. As the Deputy National Field Director for President Barack Obama's re-election campaign, Marlon helped lead its unprecedented targeted voter registration and get-out-the-vote programs and was central to a field program that far outpaced previous efforts in 2008 and beyond. After the 2012 campaign, Marlon was the Senior Advisor to the Presidential Inaugural Committee, where he helped lead a team that put together official activities for an estimated 800,000 visitors to the nation’s capital, including the swearing in ceremonies for President Obama and Vice President Joseph Biden. Prior to joining the Obama campaign team as Missouri General Election Director in 2008, Marlon served as Field Director in Nevada, Ohio, and Indiana for the presidential campaign of then-Senator Hillary Rodham Clinton. 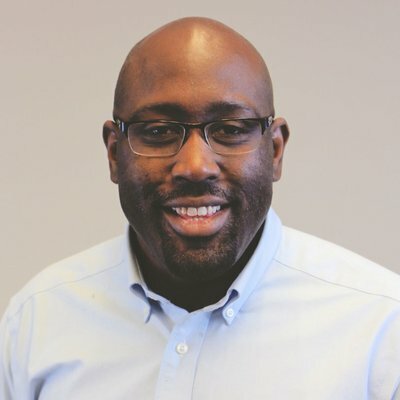 As National Field Director for the Democratic Congressional Campaign Committee (DCCC), Marlon oversaw the team that designed and implemented field plans for targeted congressional races across the country. He was appointed the DCCC’s Deputy Executive Director before his departure to the 2012 Obama campaign. Marlon hails from St. Louis, Missouri and is a graduate of the University of Kansas, where he majored in Communications Studies. He is a die-hard fan of the Jayhawks and the St. Louis Cardinals. Marlon lives in Northeast Washington, DC with his wife Stacy.